Before you set out have your kids make Christmas cards wishing people a merry Christmas, and pick up some $5 coffee shop gift cards to hand out. As you’re moving through the airport or down the road, have your kids give them to people who are obviously stressed or having a bad day—fellow travelers, the clerk at the snack shop, the gate attendant. It’s so simple, but it communicates kindness and can bring peace in the middle of chaos. To keep the giving going, consider “adopting” a family together and delivering food, gifts, love and prayer to them at home on December 24. 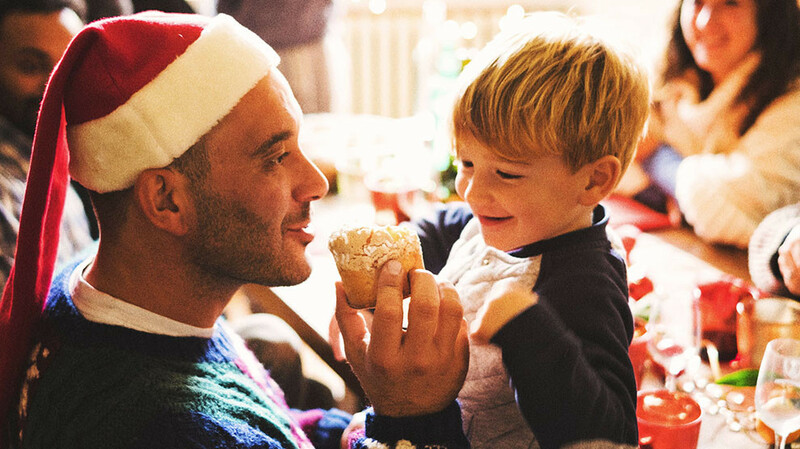 Get your kids involved all December long by asking them to use some of their own money to purchase gifts—or to sell old toys to buy new ones. Then involve them in shopping, purchasing and wrapping. You can even bake some treats to take along. When you arrive, let your kids do the giving.